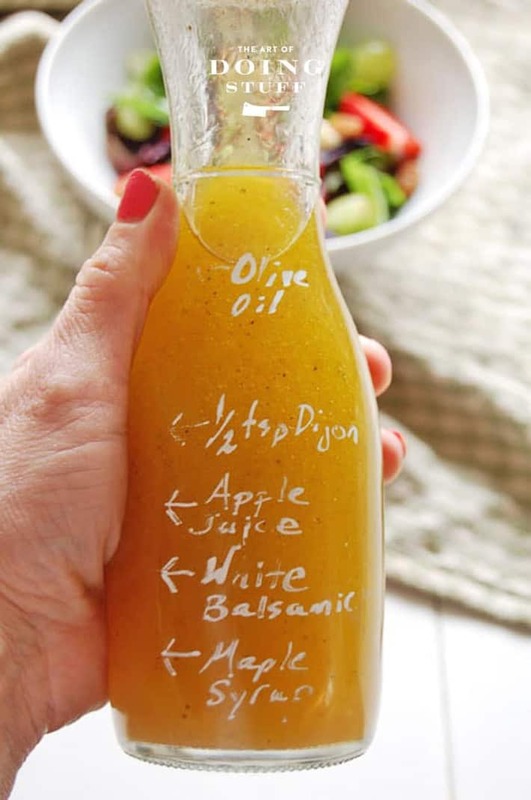 Salad Dressing Made Easy Take 2! Remember a while back I made the alarming discovery that I was stupid? And then I solved that problem by becoming smart? Well, I’m even smarter now. A few weeks ago I introduced you to writing your salad dressing ingredients on your salad dressing bottle. It was a way to make remembering your ingredients and the measurements of them all a thing of the past. After days and days of unsuccessful experiments I came up with the writing on the glass bottle with an oil based paint pen. Sharpie makes them, although they’re hard to find, or you can steal industrial ones from your boyfriend/husband/wife/girlfriend/. I’m guessing your child doesn’t have one, because if they did they’d have written on something very important with it by now and we’d all be mourning the day you sent your kid to boarding school. So. When I did that post I explained that you had to be careful when pouring the salad dressing because although the paint pen wouldn’t wash off with soap and water, or even in the dishwasher, it WOULD wash off if it got oil on it. In other words, it mostly worked, but not completely. Like freezing leftover birthday cake so you won’t eat it all, but then you just go into the freezer and scoop off all of the icing until 3 days later you have a bald sheet cake. It was an experiment in progress. Well didn’t clever reader Valerie suggest using Wite Out to write on the bottles. I immediately went out and bought Wite Out. Yes, as a matter of fact, they do still sell it. For some bizarre reason. It’s too clumsy to write on the bottle with it but it’s great for making the measurement line. THEN, you can write the ingredients on the Wite Out with a pen. And THEN … you can wash it with water, soap, oil or vinegar. To clarify, the paint pens do work. You just need to give them a few days to cure before you start making salad dressing in them. But I’m really not one for waiting. Genius. 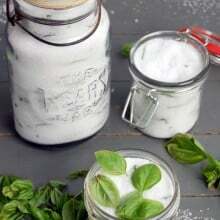 You could also use glass paint like Porcelaine 150. Cure it in your oven and you can put it in the dishwasher! I will be making this recipe tomorrow! I love anything with maple syrup in it. I’ve used glass etching cream with a paint brush to mark a wine decanter. Perfect for pouring boxed wine into a nicer vessel. I etched marks after measuring out water to 500, 750 and 1000 mls. If you are patient and steady enough, you could maybe etch the ingredients with a fine brush. I was just thinking the same thing about etching the glass! Great idea! YAY!!! for all the Brilliant Valeries in the world — where would we be without you 🙂 And Imagine .. your whiteout under painting could also be a flower, a leaf, a peppercorn or a……..
Did you try one of those pens they make for writing on plant markers? They are super durable, stand up even over winter after years so you will know what you planted – where. It’s Braswell’s salad dressing. I’m eating my way through their line until I get the number of glass bottles I want. I’m glad to see the Wite Out option, because I’ve been everywhere looking for that particular Sharpie. Everywhere. Sharpie Oil-Based Paint Pens are available at Michaels craft/hobby mecca. They conveniently hide them behind the cash register counters so you have to ask them. At least they do in my neck of Southern Ontario. White out is permanent on glass?I can’t remember it being permanent anywhere other than on paper… Hmmm. I was wondering how long that salad dressing last. Do you use it all in one meal? I’m thinking not. 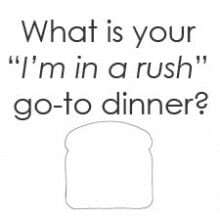 If not, then how long does it last for you in the fridge? This is one my hang-ups with diy salad dressing. I can never make a small enough amount for our two adult family (kiddo won’t eat salad, YET) and am hesitant to make a lot because I don’t know how long it lasts. Help! 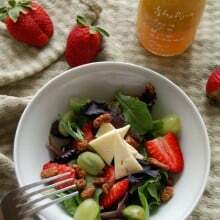 Hi Manisha – The salad dressing lasts quite a long time in the fridge. There’s nothing in it really to go bad. 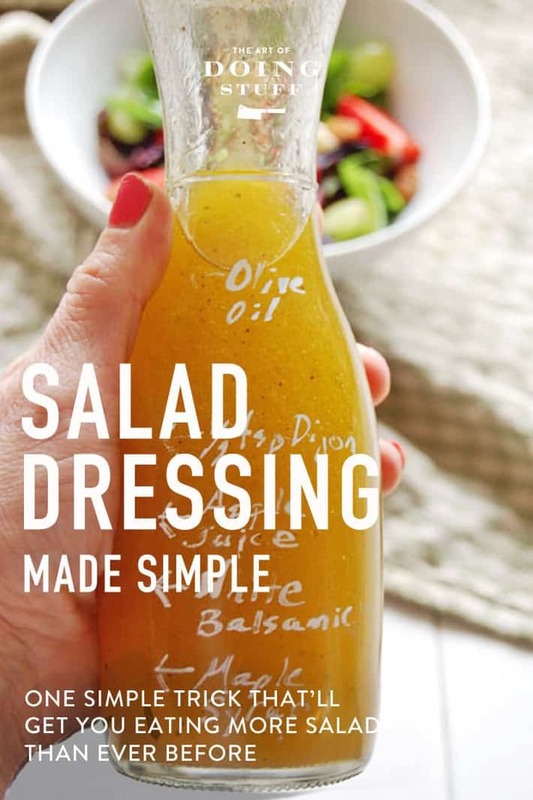 Dressings with raw egg in it, like Caesar Salad dressing should only be kept for a few days, but the regular dressings like ones made with oil and vinegar will last for weeks in the fridge. ~ karen! 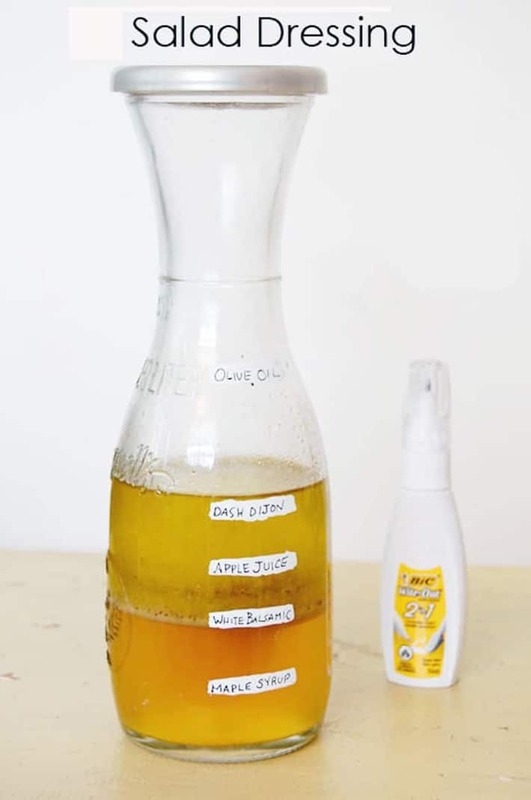 Did you know that if you put all the ingredients in the blender, except for the olive oil, then drizzle the olive oil in while the blender is going…your dressing will emulsify and not separate in that pretty bottle? As long as there is a bit of any mustard in the recipe, it will stay emulsified. Learned that from the Naked Chef. There, now you’re even smarter! I also didn’t know that White Out would work on glass..and it looks so much neater.. This is off subject but you brought it up. Why would I be mourning the sending off of my children to boarding school? And I think they would be just as happy to go. It’s a win-win. Now off to find three of those extra heavy duty markers to give as gifts to my kids. HaHaHaHa!! I don’t know which I like better, reading your hilarious blog, or reading the comments your follower’s make. See Above!! My husband & I do lazy-make your own. Good Seasons makes a seasoning packet and they sell 3 packs with glass cruet. The cruet has glass formed measuring lines on the side for oil, vinegar, & water. It’s not as fancy as with maple syrup & all but we could adapt one if we get ambitious. Amazon has them (and everything else under the sun, of course). So if you just want the cruet and don’t want to scour 3 goodwill stores till your luck changes, you can just cheat & get one this way. Do you have to keep this dressing in the fridge? I have made it before and was all icked out by how the olive oil went in the fridge. Hi Karen – what brand of white balsamic do you use? But I am not that patient!! I will try it again. for those of you who like “french manicures” or just want to try out the french manicure look without having to buy all the different goo gaas to have one, you can use white out for the tips of your nails and then paint over the whole nail with lightish, almost transparent light pink nail polish. I actually HATE white out…get it on a nice shirt and you will drive yourself crazy trying to remove it. but….like other things in life, it is sometimes the things we hate that can really teach us something. What an awesome idea Karen! Great idea! Wouldn’t nail polish stay well also, like the white out?